It was mentioned in last week’s short news: since 15 August VIKINGLAND replaces BORE BAY on the Stena Line route from Gdynia to Nynäshamn. The larger ro-ro vessel adds as much as 30% freight capacity. The route from Gdynia to Nynäshamn started in October 2017 and was operated by ELISABETH RUSS until April 2018 when she was replaced by BORE BAY. 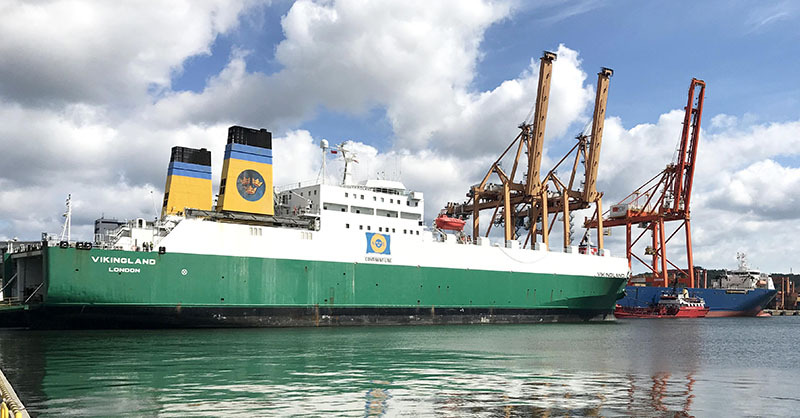 Due to tonnage changes on the North Sea BORE BAY will sail on the Hoek van Holland to Harwich route during the autumn.